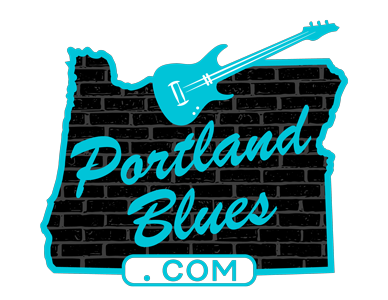 In my opinion, the Cascade Blues Association, or any other blues or music society, has a responsibility to not only promoting all artists equally, one and the same, but to help introduce newer artists to our area to the public. That has always been one of my own pet personal preferences when it comes to booking our monthly general meetings. I love having our members’ most loved and favorite musicians perform for us from time to time. They always bring a big crowd in. But they’re known already, which is why they bring their fans to the meetings and pretty much everywhere else they play, too. But at the meetings, we have an opportunity to bring you acts that you may have heard of but haven’t taken the chance to see in a venue, or new people just trying to get a break into our community. This month’s meeting, as just about all of them, was booked many months in advance. You never know for certain what may occur between the time they request to play a meeting and when it actually comes up for the performance. Unfortunate circumstances may occur, as happened with drummer Ashbolt Stewart needing surgery on his shoulder that would take him out of being able to play for a couple months. The band he works with, The Pollinators, were scheduled for the September meeting, but had to cancel. I was in a tight spot with a fast approaching deadline for the BluesNotes and wanting to promote the acts playing the meeting in the paper. Plus, I was heading out of town for the Bronze, Blues & Brews Festival in Joseph in a couple days when the message came through. Thanks to social media, I was able to put the call out for another act, explaining my short time frame to fill the gig, and had responses within minutes. But what made this even more fruitful was the fact that I had responses from newer acts looking to help out the CBA. Acts that could really use a little push to get their name to our audiences themselves. Though I had alerted people that I was taking the first act to respond who had not played at one of our meetings within the past year (because we want to give everybody a chance), I have made note of those who did respond and will approach them if another cancellation occurs or when it comes to booking future meetings. The Journey to Memphis is another means where I see this same thing happen. Every year we receive applications from acts that I am unaware of or have only heard of by word of mouth. Some end up becoming quite popular over time, and some even become very close friends, too. I always like to believe that I was there to watch their careers grow and just maybe the CBA played a little part in their success. Going back to social media, I have found this a great outlet for discovering new acts that I don’t know about. I will watch their pages online, check out their videos or listen to their music on various internet outlets. I even find venues that are new to me that I may drop into as time allows. We have so many options out there to explore and become aware of. Sometimes this may make extra work for me when putting together the BluesNotes. Finding out about new venues often means another location that I have to check on each month to see if they’re presenting an act that should be placed in our event pages. It’s not something that I dislike doing mind you. I just don’t want to miss out on letting everybody know about a show coming to town or a special event that will be happening. But if I make any one point more clear than anything else I have stated in this column, it is this: as a blues society it is our responsibility to let our members know about everybody. There are no favorites that we’re going to focus on one more than another. Sure, we all have our individual favorite acts. But when it comes to promoting in the BluesNotes, the CBA websites, playing at our monthly meetings, or getting our attention by any means, everybody is on the same level. If you’re a struggling band trying to be heard, you have as much a place within the CBA as somebody who is working touring nationally or beyond. Everybody starts somewhere. And if they perform at a meeting, please show them the courtesy and respect of listening to what they’re doing. It is their craft, their art, their livelihood. They are playing to impress you and to show you the work that has come from their hearts. It is the culmination of many hours putting their material together. Please give them the opportunity to hear what they’re doing. That is my personal belief, and I hope it is the same as all of yours.